Each time you drink a beer, especially in a pub, you are contributing positively Britain Plc. Beer and pubs contribute a significant amount to the economy - £22.9 billion annually. 1 job in brewing generates 21 jobs in associated businesses including 18 jobs in pubs, 1 job in agriculture, 1 job in the supply chain, 1 job in retail. 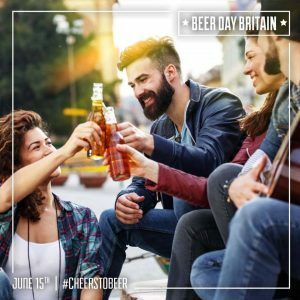 82% of beer consumed in Britain is brewed in one of around 2000 breweries. Seven out of ten drinks served in a pub is beer. Beer and pubs employ almost 895,000 people. There are currently just under 48,500 pubs in Britain. Around 85% of pubs are community or local pubs bringing jobs to the local economy. Britons pay almost 40% of beer duty amongst European Union pubs but consume only 12% of the beer. Duty on a 5% ABV pint of beer in Britain is 54p. In Germany it is 5p. If you think beer duty in pubs should be reduced please support the Long Live The Local campaign and contact your local MP. Statistics sourced from the British Beer & Pub Association. For more information read this document from the British Beer & Pub Association.